This article is 1952 days old. 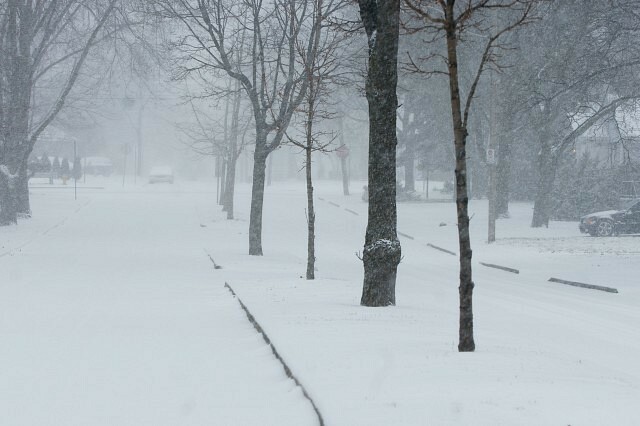 The OPP have some winter safety driving tips to prepare yourself for safe travel. Winter weather conditions can change quickly and taking extra precautions can increase your chances of arriving safely. Stay alert, slow down and stay in control – the three key elements of safe winter driving. A skid happens when your wheels lose traction on a slippery surface. Most skids result from driving too fast for road or traffic conditions. Once in a skid, steer in the direction of the skid. If you are on ice and skidding in a straight line, shift to neutral or step on the clutch pedal. In winter driving conditions, it takes all vehicles longer to stop on snow-covered roads. It’s important to leave plenty of space between you and the vehicle ahead. A guide to safe spacing under normal conditions is the two-second rule. In winter, and especially during poor weather conditions, double the two-second rule. You should limit the use of cruise control on wet, snowy or icy pavement. It is critical for drivers to see and be seen in low-light conditions, and when blowing snow and white-outs affect visibility. Whenever visibility is poor, turn on the vehicle’s full lighting system. Check weather and road conditions before heading out and plan your trip accordingly. Check on road conditions by visiting the Ministry of Transportation website by logging on to www.mto.gov.on.ca/english/traveller/conditions or by calling 1-800-268-4686. Defensive and responsible driving is essential to keep our roads and highways safe and also to reduce serious injuries and fatalities.